[spb_text_block animation=”none” animation_delay=”0″ simplified_controls=”no” custom_css_percentage=”no” padding_vertical=”0″ padding_horizontal=”0″ margin_vertical=”0″ custom_css=”margin-top: 10px;margin-bottom: 0px;border-left: 15px ;border-right: 15px ;padding-top: 50px;padding-left: 40px;padding-right: 40px;padding-bottom: 50px;background-color:#c48c1b;” border_size=”0″ border_styling_global=”default” back_color_global=”#c48c1b” width=”1/1″ el_position=”first last”] [one_third]Falconry is an integral part of desert life, and has been practised in the Gulf region for centuries. Originally, falcons were used to hunt hare or houbara to supplement the Bedouin diet with some meat. In the time before the UAE was formed, and before the discovery of oil allowed the development of roads and communication systems, hunting expeditions were frequently used as a way for the tribal sheikhs to tour their territory and keep in touch with the latest developments in areas which were otherwise inaccessible. The sheikh would hunt during the day, then a desert majlis would be held around the campfire in the evenings, when the Bedouin would come to pay their respects and raise with the sheikh any matters of concern. [/one_third][one_third]Nowadays, falconry is practiced purely for sport. 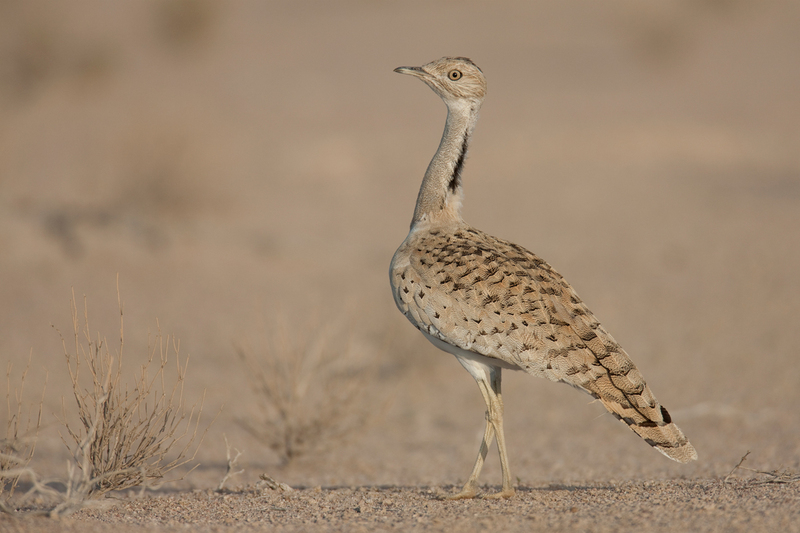 The main quarry for falcons in the UAE are houbara bustard and hare. 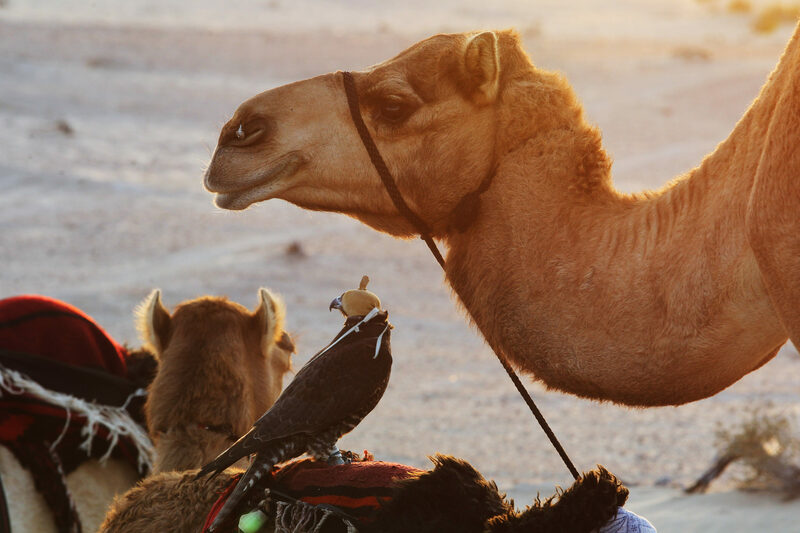 There is now a very successful captive breeding programme in the UAE for houbara, ensuring that the popularity of the sport does not harm this species.